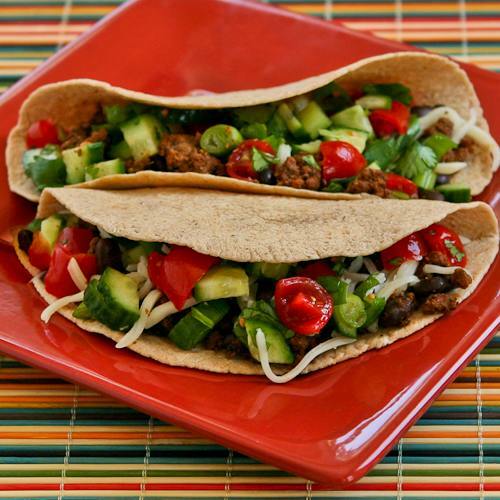 These Spicy Beef and Black Bean Tacos are healthier and maybe tastier than the ones mom used to make, and if you use low-carb tortillas these are South Beach Diet phase one and relatively low in carbs. Just omit the beans and use more beef if you want a low-carb meal! Click here to PIN these tasty beef tacos so you can make them later! When I was a kid I loved my mom’s tacos. One thing that made them so good was the way mom would get the oil very hot in her cast iron frying pan and quickly fry the corn tortillas to make shells, folding them over to be filled with spicy taco meat, lots of grated cheese, lettuce, hot sauce, and sometimes tomatoes or olives when the family budget was flush. When we ate mom’s tacos, we had to hold them over a plate because so much grease would drip out! Now flash forward quite a few years later, and I still love to make tacos, but the idea behind these Spicy Beef and Black Bean Soft Tacos with Cucumber, Tomato, and Lime Salsa is much different. 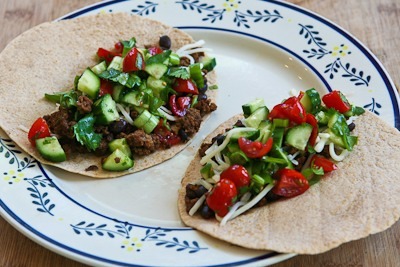 These days I make tacos into a more healthful meal by using low-carb flour tortillas instead of corn tortillas, combining ground beef with black beans for more fiber, using just a little cheese, and using a cucumber, tomato, and lime salsa to bump up the vegetables in the meal. Even though these tacos are much different than the tasty-but-greasy ones mom used to make, I promise you, they’re quite delicious! 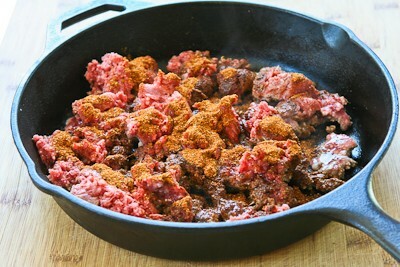 Heat oil in a heavy frying pan, add ground beef and about 2 T Kalyn’s Taco Seasoning Mix (or your favorite brand) and cook until the meat is well browned. While the meat-bean mixture simmers, chop cucumbers into very small pieces, and cut up one cup of diced tomatoes. Mix the diced cucumbers and tomatoes, chopped cilantro, sliced green onion, Green Tabasco Sauce, and lime juice to make the salsa. 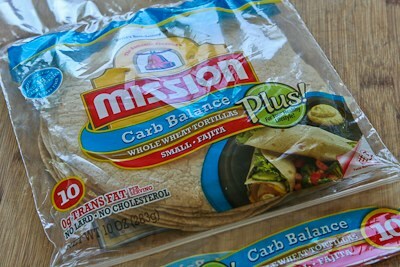 I like these small six-inch low-carb flour tortillas for taco shells, but you can also use larger ones if you prefer. 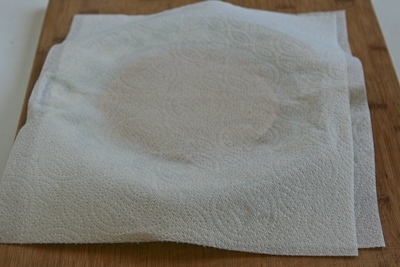 Warm the tortillas in the microwave between two moist paper towels. (This takes barely a minute; don’t leave them in there too long.) As soon as you take tortillas out of the microwave, fold them in half. 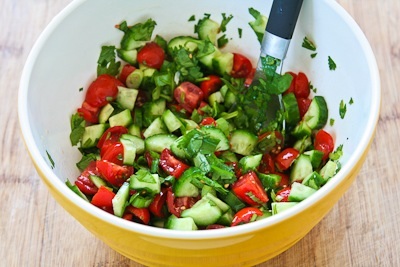 While the meat simmers, finely chop the cucumbers and tomatoes, chop cilantro (if using), and slice green onions. Put those ingredients in a medium-sized plastic bowl and stir in the Green Tabasco Sauce and lime juice to make the salsa. Fill one side of each tortilla with the beef and black bean mixture and sprinkle on some grated cheese; then spoon on a generous amount of the salsa mixture. Fold tortillas over to eat. Other toppings that might be good on these tacos include extra hot sauce, light sour cream or fat-free Greek yogurt, guacamole or sliced avocado, or sliced black olives. 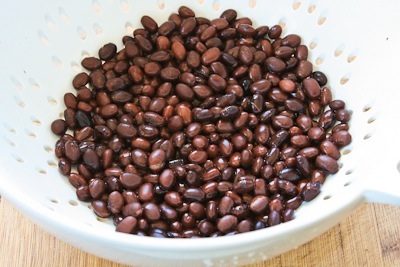 If you want to eat these for a low-carb meal, be sure to use low-carb tortillas and omit the beans. If made with low-carb whole wheat flour tortillas, low-fat ground beef, and low-fat cheese, these tacos would be a good choice for Phase 2 or 3 of the South Beach Diet. I love the idea of making these vegetarian with chopped mushrooms; great idea! Thanks for sharing and glad you are enjoying the recipes. 1: I found this recipe from you on Pinterset, along w/other recipes from you. Because we're vegetarian (mostly)I used two 8oz packages of fresh mushrooms instead of ground beef and OMG DELISH! I threw the mushrooms in my food processor to "look like" ground beef for my picky members. 2: As I said, I found you on Pinterest and I have made several of your recipes, mostly converted to vegan and…I'm on Weight Watchers. You do a GREAT JOB and thank you for food inspiration! Tim, that's fun to hear. Glad they were a hit with the kids! I made these tacos Tuesday night and thought they were great…my kids appeared to like them, but didn't say much. Today I asked my son what he wanted to order out for dinner (a usual Saturday night thing) and he begged me to make the tacos again…I guess he liked them. I just used a packaged taco mix, but that salsa was incredible! It just goes so well with the meat! I'll try making the spice mix next time. Yes, I'd love this in lettuce leaves too. I can see putting the mixture into lettuce leaves if I'm feeling like I don't want carbs with the tortillas. Yum. Susie, like that idea of an egg on this! Lydia, I wish I could get Joseph's low carb tortillas here; they are so good! Sushma, good luck. You can do it and you'll be glad you did. Christie, thanks for stopping by. Karina, love those baby cucumbers! Those tacos look fresh and beautiful. I love your addition of cucumber- a lovely, cooling element. These are my kind of tacos! I love the idea of the lime salsa to kick up the flavor. I like to use Joseph's low-carb oat bran tortillas these days for my tacos and quesadillas. They're not very sturdy, but they're low calorie *and* low carb. Oooh, I was thinking how good leftovers would be for breakfast (for me with a sunny side egg over them) when I saw your comment about breakfast! Thanks everyone. I'm eating one of these tacos for breakfast right now! These tacos are so pretty with that colorful salsa. 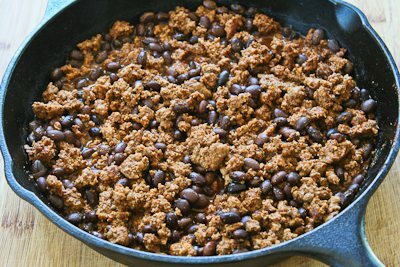 We like to add black beans to our tacos, too – great flavor and a hit of low-fat protein. That is a healthy tacos and i am glad you made this, i like tacos and most of the time I love it with lots of cheese but I know it is not good for the health. Yum! Love the addition of cucumber! These look lovely. First of all, I'm loving that you bulked up the beef with some beans! Makes it go a lot farther and adds some great texture! Second of all, this just goes to show you that you don't have to give up childhood favorites if you want to eat healthy…you just have to modify them a bit!